If you’ve ever called a business phone number and had to Press 1 for your menu choice, you’ve participated in a PBX system. For businesses small and large, PBX is a vital component of communication. So why explore the history of this telephoning system? Well, if you’re not currently using PBX or are looking to upgrade, knowing the history can help you understand the value of the sometimes confusing variety of features. If your small business, for instance, does not currently have PBX (or has an outdated version of one), you’re in some ways doing business with the telephoning technology of the early nineteenth century. All of the historical advances in PBX have come as solutions to real problems that businesses still face today. By understanding how these solutions came about, you may have a better idea of how PBX can make your business more productive. PBX—or Private Branch eXchange—is a business phone system designed to share lines and route calls. These systems are made up of trunks, a.k.a. phone lines, and stations, which are the phones themselves. A PBX setup makes it faster, easier and less expensive for businesses to handle both external and internal call volume. PBX systems have evolved across three separate eras: switchboard, automatic, and IP (Internet Protocol). As part of the new trend of “Unified Communications,” PBX has continued to evolve and merge with other technologies. The first manual switchboards had actually been in use just a few years after the invention of the telephone by Alexander Graham Bell in 1878. By the turn of the century, being a switchboard operator for a public telephone company was a popular job for young women looking to enter the workforce. The phone companies were more than willing to hire the women, who were polite, provided good customer service and were employable at 50 to 75 percent of a man’s wage. The switchboard operator’s job involved answering phone calls, finding out who the caller was looking for, and plugging the phone cord into the correct jack. The problem came when businesses grew larger after the Great Depression. Multiple departments within a company became more common, and businesses began to field a lot of internal calls. Every phone in the business required a public telephone line, so each call initiated from within the company cost money. Calls from one department or employee to another added up, and employees would invariably call a co-worker whose office was just down the hall. Compounding this problem was the public telephone companies’ policies that each individual phone in a business required its own telephone line, which cost money to install and maintain. Business owners needed a way to handle internal and outgoing calls in a more cost-efficient manner. Enter the First Era of the PBX. Up until the 1960s, most businesses were dependent on the public telephone company to connect their inter-office calls. Calling your co-worker was no different than calling a neighbor. Soon, the idea caught on for companies to invest in the switchboard hardware and hire their own private operators. These privately owned switchboards were the very first PBX systems. The concept was simple: share a small number of phone lines across a large number of phones. They could save by reducing the number of public phone lines, each of which cost an initial install fee, and by not having to pay for each inter-office phone call. Can you guess who the first PBX users were? They were receiving and making lots of phone calls and could afford the extremely expensive switchboards and the ongoing salary of the operators. If you guessed lawyers, you get a cookie! Way back in 1882, attorneys in Richmond, Virginia hosted the very first private switchboard system, an archaic version of what is now known as PBX. By the early 1900s, businesses, factories, hospitals, schools, and other sizable employers made room for their own PBX equipment. The switchboards took a lot of space—and money—but with long-term savings in mind, PBX systems were slowly growing in popularity. For those who couldn’t yet afford to install their own system, public telephone companies began renting out dedicated blocks of switchboards with discounted rates for internal calls. These packages were sold as “Centrex Service,” short for central office exchange service. Let’s take a step back from PBX for a moment and look at the process of acquiring automation. Before automatic switching was available to the public phone companies, there was no real need to know the direct number of the person you were trying to reach. In fact, you may not even need to know their name. The helpful operator would be a sort of human phone book. Ask for a butcher, and she’d connect you to one. The technology for automation began with electro-mechanical systems that functioned somewhat like the intricate Rube Goldberg machine you made for the middle school science fair. An electric impulse triggered the switches to physically flip until the call was fully routed and connected. This was a rather sophisticated technology, as it meant you could dial the number of your intended party directly instead of asking the operator to connect you. The story behind automated switching is quite a funny one, believe it or not. It all started with the eccentric Mr. Almon B. Strowger, a funeral director living in Kansas City. In 1891, Strowger became irate with the system of operator-based switchboards. One version of the story says Strowger was convinced the town operator intentionally misdirected callers or told them the line was busy in order to drive him out of business. A second “unofficial” version says he suspected the operator was dating a new funeral director in town and routed all the calls for an undertaker to her lover’s business. Strowger’s first automated switchboard could only handle 2 lines, but it wasn’t long before other inventors helped add dozens of lines. Soon the number of lines was nearly infinite, and needing an operator to connect you to your aunt in Cincinnati was practically unheard of. You simply dialed her number. The public telephone companies’ automatic switchboards eventually migrated into the PBX world. Automated PBX systems eliminated the need for human operators when making a call to a co-worker down the hall. Quiz time again! Who were the first to widely use this rudimentary, mechanically automated PBX? Did you guess emergency services? It was the police who first began heavily investing in automated PBX around 1910. They had previously installed specially designated “Police Patrol Boxes.” These public telephones were upgraded, using the new technology to automatically route calls to the correct person, thus making emergency response times faster. Still, most businesses avoided the costly electro-mechanical switchboards. They were nifty, but they weren’t practical or cost-efficient for another 60 years. While all this automated switching was being used by public phone companies, most businesses using PBX systems still relied on operators manually transferring calls. Automation eliminated the need for a human operator. This made the operation of switchboards cheaper and the appeal of PBX grew. More companies bought and installed their own equipment, and the number of operators declined nationwide. PABX systems were gradually upgraded and changed in the following decades until the technology known as TDM was developed. This ‘Time Division Multiplexing’ system allowed multiple strains of information to be conveyed over one path. TDM allowed telephone companies to transition from analog to digital transmission, which opened the way for TDM PBX systems. These systems were designed as large cabinets with an operating system, CPU, hard drive, and RAM—much like that of a desktop computer. This cabinet took up a lot less room than the previously used switchboards. It could also be upgraded with new boards. For instance, you could simply add more phone lines into the cabinet by purchasing a new board of 16 lines. Hold music could be added with another board, and so on. The downfalls were still cost related. Because adding a new line meant adding a whole new board, you couldn’t purchase, say, 2 phone lines. You were forced to purchase more than you needed because lines were sold “by the board.” To make matters worse, you had to purchase the board from the same company as the rest of your components to make sure everything was compatible. You also usually had to purchase special TDM-compatible digital phones to replace every phone in the company. All of these conditions meant there was no competition and little choice in products, so upgrading—while certainly a nice option to have—could get quite expensive. Still, the ease of the automation made the systems a valuable addition that most businesses owners were familiar with (and coveted), even if they couldn’t afford it. By the time 1990 rolled around, the Internet as we now know it was still in its infancy. It was not common in households or businesses, and the potential applications were clear to only a select few nerdy types. When Internet Protocol merged with PBX, the next generation of business communications was born. It was in 1997 that the first IP PBX service became available. In a few years, this new technology would be offered with VoIP (Voice over Internet Protocol) to provide multimedia transmission while reducing data usage. The biggest benefit of an IP-based system was the virtual hosting. You no longer needed to rent or purchase, maintain and upgrade your own computerized switchboards. Instead, you could simply use an Internet connection to transmit that data to a computer hosted and run by the IP PBX provider. By 2008, 80 percent of new PBX installations used IP. Many of the holdouts are rightfully concerned about the reliability of Internet-based services, which can cause issues with information loss, lag and security. With a hybrid system, you could use your current hardware that was already installed while using IP technology to add useful features faxing. You could also add a second location to your business without buying a second set of expensive PBX hardware. For some companies, the ability to keep old TDM-based phones and headsets made the hybrid model a good cost-saving upgrade. Soft Phones: With calls handled through the computer, a new interface was born. The so-called “soft phone” made it possible to look at a monitor and see all kinds of useful information through a software application. A pair of headphones with an attached microphone replaced the handheld phone, and the computer used a special software to display the keypad and other features. For instance, the employee names associated with each extension made it easy to complete inter-office calls. Activity statuses showed which lines were in use, usually with a green, red or gray dot. Conference calls were easy to set-up. Some advanced functions allowed notes to be attached to caller information as the call was transferred. In the mid-2000s, soft phones also became available for smartphones. Instant chat features were added, and PBX officially went mobile. IVR Menus: Callers can route themselves by choosing a menu option, e.g. “Press 1 to make an appointment.” This menu can also allow callers to enter a direct extension. Voicemail: This doesn’t sound like a new feature, but there’s more than just plain old voicemail. Messages can be transcribed into written text and even e-mailed to the appropriate receiving party. Scheduled Routing: You’ve heard this one when you call after business hours. “Sorry, we are now closed. To leave a message…” The menu options change based on the preset hours. Call Recording: You’ve heard this one, too. “This call may be monitored or recorded for quality assurance purposes.” These calls are often used for training or for tracking employee performance. Call Queuing: This is a basic hold with waiting music for the caller, but it’s incredibly useful for the company to know the order of callers on hold. Some computer-based systems even allow a small notation of what the caller needs. Portable: Your phone is able to send and receive company calls no matter where it is plugged in. This allows employees to take phones on business trips or to their homes, as long as there’s an Internet connection. With the advent of smartphone-enabled systems, portability took on a whole new meaning. Okay, we said there were only three eras of PBX, but technically, there are four. With the introduction of Internet-based services, PBX became only a small ingredient of a revolutionary communication pie. Soon, routing business calls was just a part of what providers offered. The whole package of new features became known as “Unified Communications” or UC. For this reason, you often won’t even see PBX advertised as a standalone service, but usually bundled with a variety of other features. These features vary by the vendor, but typically include things like the following. Note that some of these features, like voicemail hold music, were available decades ago. But with increased Internet access, faster speeds, and other newer technologies, UC has expanded its role considerably. Instant Messaging: Built into the user interface of many UC systems is the ability to instant message employees and co-workers with quick, simple information. 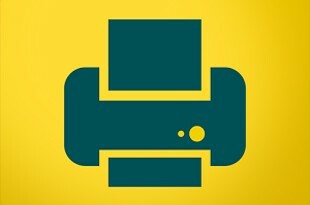 Faxing: The ability to send and receive faxes through using the computer interface is a valuable upgrade. Video Chat: For those who need a little face time for conference calls, video & audio transmission is a popular UC add-on. Presence: Arguably one of the most important UC additions is the ability to take advantage of “Presence.” This simply means knowing how to find someone and knowing when that person is available. For example, imagine you work for a very large company that has multiple locations. You receive a call asking for help with something just outside your area of expertise. Using Presence, you can access a database directory of employees with profiles and tags of their skill levels. An availability button tells you that colleague is ready to help. You can quickly initiate communication, either by adding them to the call or using instant messaging. This avoids putting the caller on hold indefinitely or playing costly games of phone tag. And knowledge is power. If you’ve been considering adding PBX to your business or upgrading to a UC-based system, we hope this brief history lesson has helped you. We’ve certainly come a long way in business communication, so take advantage of all the hard work and ingenuity of the people before us who have helped make better productivity and profitability possible.